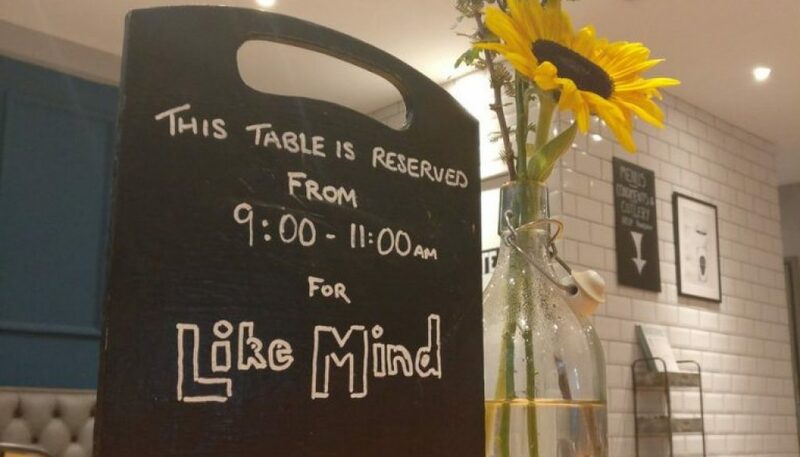 I have been a co-organiser of Birmingham Likemind with Rickie Josen for over six years, a monthly coffee morning that takes place every third Friday in the centre of Birmingham. Rather than any formality, Likemind is just about coffee and conversation – an opportunity to get together and converse for a few hours. We’re part of a global network of Likeminded events across the world. It all started in New York (as many great ideas do!) and Likemind Birmingham was started in 2007 and I have been co-organising the event since February 2012. Check out my events page for details of the upcoming Likemind events.